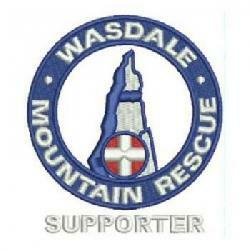 Call from the Police to investigate a missing family group, four adults and two children who had climbed Scafell Pike. They had left Coniston camp site at 1100 hrs the previous morning and had not turned up by 0030 hrs. The husband of one of the missing persons called the police. After speaking with the husband it was decided to leave it until first light as they were well equipped. At 0550 hrs a full-call out was conducted to search for the missing group. A search dog handler and dog carried out a search up through Eskdale whilst a search team were sent up over the Pike. The missing group were located near Sampson’s Stones and were walking back out after having spent the night in Upper Eskdale. Incident closed mid morning.